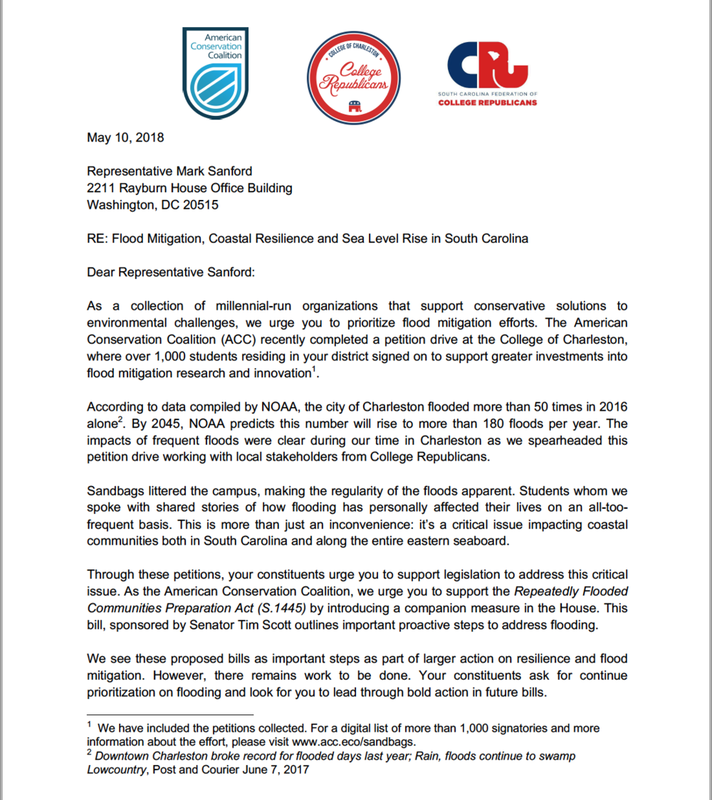 Help us address the Charleston, SC flooding issues. 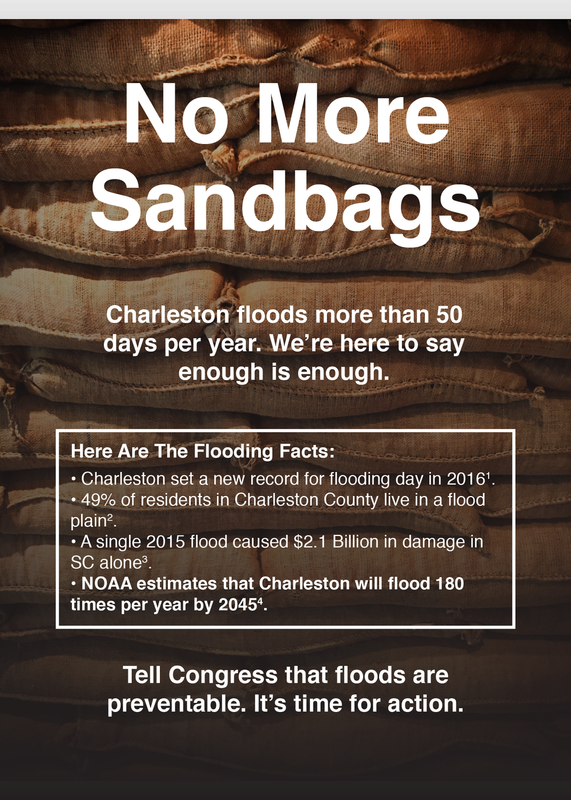 NOAA modeling predicts that by 2045, the city of Charleston will flood more than 180 times per year. 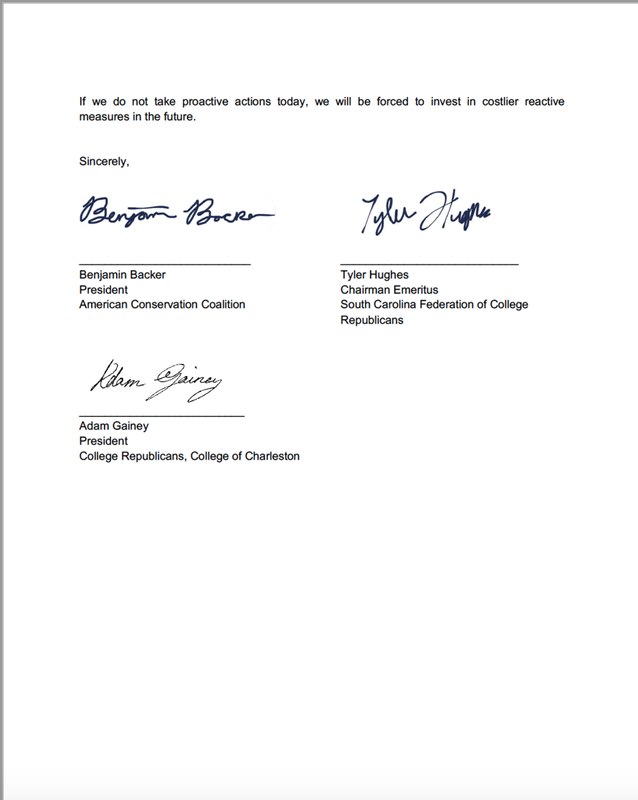 Making this issue a priority for the ACC, we delivered these student petitions to the offices of Governor McMaster, Rep. Mark Sanford, and Senators Tim Scott and Lindsey Graham. Join more than 1,000 Charleston, SC residents. Want to increase your impact? Text www.acc.eco/sandbags to 3 friends for them to sign on too!